A petition has surfaced that claims to be from concerned American citizens. They want Justin Bieber to be deported back to Canada due to his increasingly bad behavior. In light of the recent events and controversies surrounding Justin Bieber, angry citizens have started a petition asking the government to deport the pop idol back to his Canadian homeland. The petition, started on Thursday, Jan. 23, claims to be from concerned Americans who have had enough of Justin’s antics and want him gone permanently. Following Bieber’s DUI arrest in Miami Beach, Florida, on Thursday, there’s been harsh criticism of the teen singer for his increasingly wild behavior. The 19-year-old got pulled over for street racing in a rented Lamborghini and was also found to be driving under the influence. Allegedly having resisted arrest without violence, Bieber was taken to jail and released the next day after posting $2,500 bail. 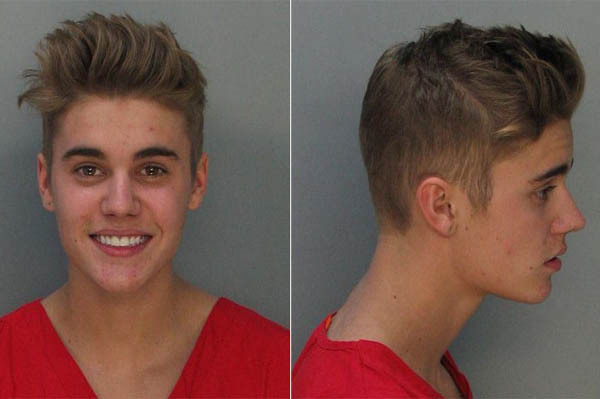 During his arrest, Bieber actually admitted to consuming alcohol, smoking weed and being on prescription meds, and he also failed a field sobriety test after being pulled over. The “Beauty and a Beat” singer has been in a downward spiral for some time now, most recently getting in trouble for egging a neighbor’s home. Other recent reports have revealed that the Biebs was addicted to drugs and that his camp has repeatedly pleaded with him to go to rehab, but to no avail. Lil Za was arrested for cocaine possession at Bieber’s home when cops raided it to search for evidence of the egging attack Bieber launched on his neighbor’s house. The rapper is said to have had the drugs in plain view when the police arrived.